North Carolina A&T State University is a member of the University of North Carolina system and is located in Greensboro in the state of North Carolina, USA. It offers 9 doctoral degree programs (11 concentrations), 29 master’s programs (46 concentrations) one post-master's certificate program and 8 post-baccalaureate certificate programs in collaboration with eight colleges, with cutting-edge research opportunities within interdisciplinary research centers. The academic programs are offered through colleges in agriculture and environmental sciences, arts, humanities, and social sciences, business and economics, education, engineering, health and human services, joint school of nanoscience and nanoengineering, science and technology. Please contact us for more information on how we can help advance your studies. 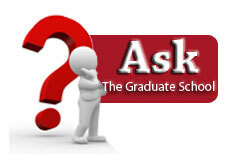 We offer the following graduate programs. Click the name of the degree program to view application deadlines and additional information about the program. An * indicates that the program is available on-campus and online, except the following two programs that are only offered online: MS in Instructional Technology and MAT in Technology Education. Effective Fall 2016, this program is not admitting new students until further notice. Admission/test requirements: Online application, fee, official transcripts (unofficial transcript is required for NCA&T graduates last 10 years), an earned undergraduate degree.